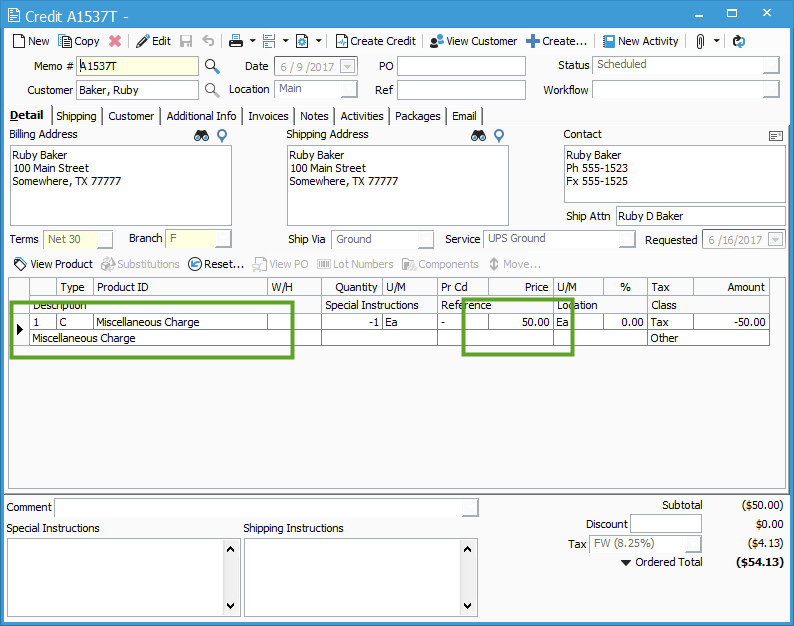 In the event you need to add some additional charge to an Invoice, you will need to first create an “Other Charge” product. 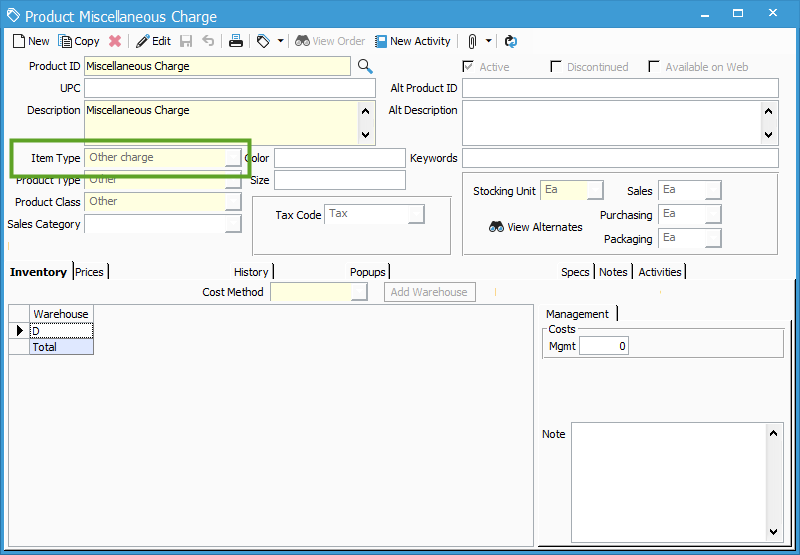 This will allow you to add this “Other Charge” product to a Sales Order or Credit Memo, which will default the product’s default charge amount. In Acctivate, open the Product window. Select to create a new Product. Enter in a Product ID and Description for your new charge product. Set the Item Type to “Other Charge”. Set the Cost Method to be ‘None’. Here, you can set a default price if you wish. This is not a requirement. Now, this product can be added to a Sales Order or Credit Memo.